Just a while ago, we posted about the Verizon Galaxy Note 2 deal available at Amazon Wireless. We’ve spotted another deal at the same source for AT&T HTC One X+. The device is available for $79.99, only for new customers. Returning customers with an upgrade would have to pay $139.99. 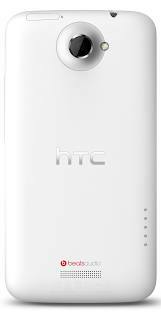 The HTC One X+ requires a two-year contract. Directly from the carrier itself, the device costs $200 on the same contract. The deal is for the black version of the device that comes with 1.7 GHz Tegra 3 Nvidia quad-core processor, android 4.1 Jelly Bean OS, Sense 4+, 1GB RAM, 64 GB internal memory and 4.7-inch SuperLCD 2 display. Customers who get the handset will be able to take advantage of another active offer, HTC and PlayStation Mobile games have announced a free game every week for HTC owners, and HTC One X+ is one of the eligible devices. More information is available at Amazon Wireless page. What do you think of the deal? Leave your comments below!